There is no life with­out move­ment, at all lev­els of meta­zoan orga­ni­za­tion, from indi­vid­ual cells to the ani­mal form. Dur­ing devel­op­ment, indi­vid­ual cells migrate from the germ lay­ers to lay down the body plan and in the adult organ­ism migrat­ing cells play key roles in immune defense and tis­sue repair. 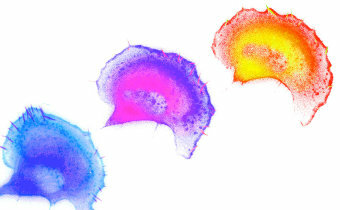 Tumor dis­sem­i­na­tion and ath­er­o­scle­ro­sis, like­wise involve cell migra­tion and some bac­te­r­ial and viral pathogens recruit the motile machin­ery of cells to prop­a­gate their infec­tion. Our stud­ies have focused on unrav­el­ling the struc­tural basis of these processes. 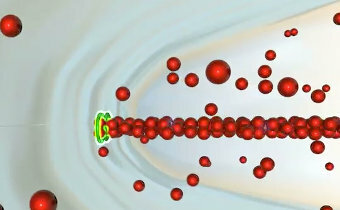 Cells migrate by push­ing at the front and pulling at the rear. 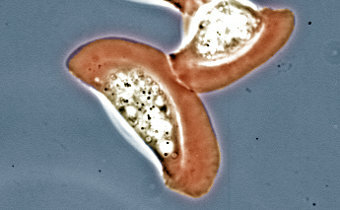 To ini­ti­ate migra­tion, cells pro­trude thin sheets of cyto­plasm called lamel­lipo­dia. 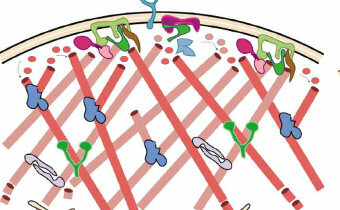 The force exerted by the poly­mer­iza­tion of actin fil­a­ments have been har­nessed by cells to push. Pro­tein assem­blies are recruited to the tips of lamel­lipo­dia and filopo­dia that ini­ti­ate and reg­u­late the poly­meri­sa­tion of actin for pro­tru­sion.